Spain's April 28 general election is seen as a testing ground for new measures that the European Union is adopting to shield elections to the European Parliament a month later. The Europe-wide efforts include a "rapid alert system" linking specialized coordination units in all EU member states and require internet companies to share regular updates on their efforts to eradicate disinformation campaigns. Spain joined the Europe-wide initiative in early March, establishing a high-level unit to coordinate the fight against cyberattacks and fake news. The experts report directly to Sánchez, who on Tuesday equated disinformation to attacks on "the quality of democracy." "We need to protect Europe in order for Europe to be able to protect its citizens," the Socialist leader said during a visit to the national cybersecurity institute, or INCIBE, in the northern province of León. Sánchez also called for new cybersecurity guidelines that are currently being designed to be backed by all national parties, regardless of who wins the upcoming election. Spaniards are set to choose new leadership at the end of April and they will join hundreds of millions in 27 countries — potentially 28 if Britain hasn't left the EU — voting for lawmakers in the bloc's parliament on May 23-26. No Spanish official has singled out specific threats tied to the elections, but a national security report released last month said the country's networks had suffered more attacks in 2018. The document also identified disinformation as a rising trend amid "hybrid threats" spurred by "geopolitical competition." A high-level Spanish official told The Associated Press that the government cared about both issues because questioning the April general election's results "would be something new in four decades of democracy." It could, the official said under strict anonymity rules for intelligence personnel, "sink the country into chaos." A Spanish Defense Ministry report last year said "attacks" originating from Russian servers had targeted the turbulent weeks around Catalonia's independence referendum in Oct. 2017. The EU's executive Commission has also singled out Russia as "a primary source of disinformation in Europe." Such allegations have been repeatedly rejected by Moscow. 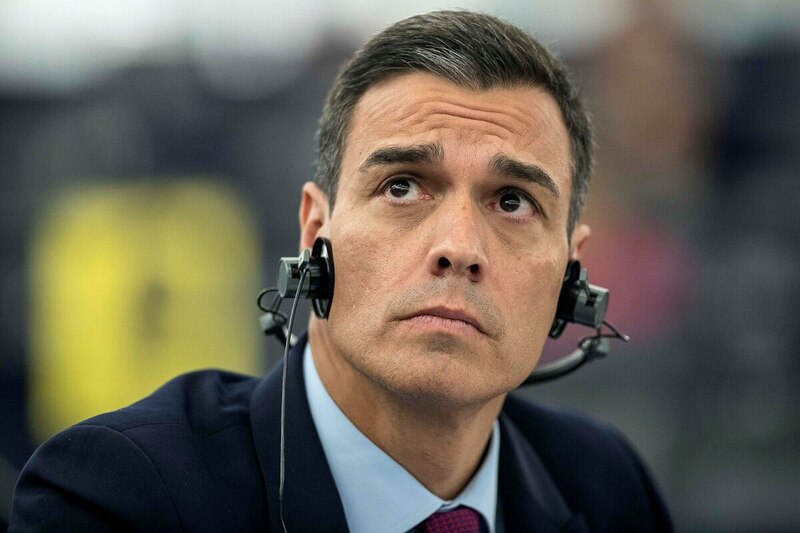 Speaking on Tuesday, Sánchez didn’t blame any particular country, but said that Spain had been targeted by “attacks or attempts to infiltrate our networks,” both domestic and international.